Posted on March 23, 2010 by Katie S.
We all scream for FREE CONE DAY I’m screaming anyway. 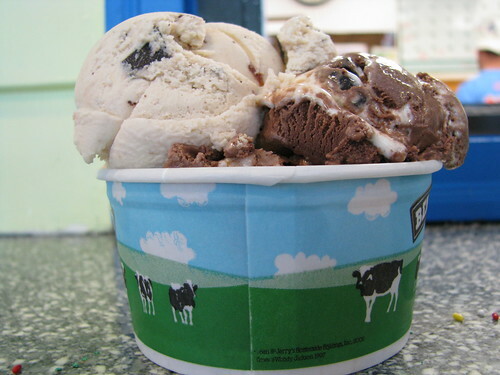 Today is free ice cream cone day at Ben and Jerry’s in Seaport Village. Come down anytime between 10 a.m. and 9 p.m. to get your very own free ice cream cone. And if you thought things couldn’t get any better – they do. Special guest Mayor Jerry Sanders will be at the location at 10:30 a.m. scooping out Triple Caramel Chunk, and former NBA star Bill Walton will be on-site as well! Who knows, maybe Shamu will be there dishing out ice cream too (although we can’t promise that one). This entry was posted in Culinary, Insider Tips and tagged Ben and Jerry's, ice cream, seaport village by Katie S.. Bookmark the permalink.